If the Oscar-nominated The Imitation Game left you craving a more authentic look at the brilliant-but-misunderstood British mathematician Alan Turing—and you have a seven-figure budget for discretionary spending—you might want to check out Bonhams Fine Books & Manuscripts' sale in New York on April 13. 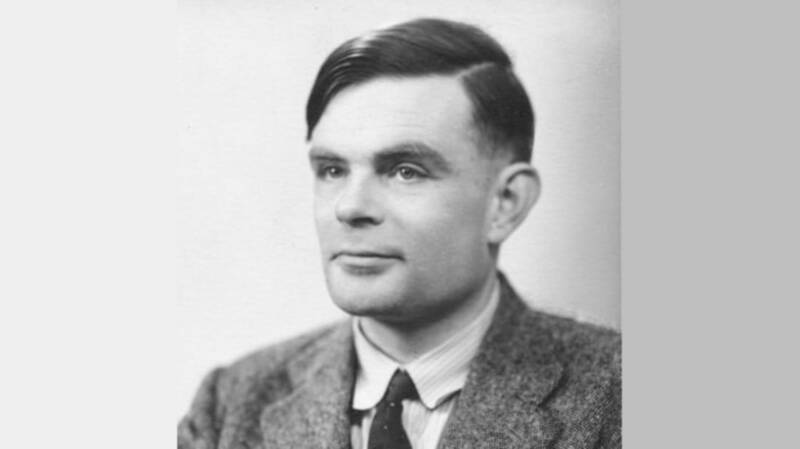 The auction house will be selling, on behalf of an anonymous vendor, a hand-written notebook kept by Turing during the period of time covered in the movie. The 56-page manuscript dates to 1942, when Turing (among other cryptanalysts) was working on cracking the Germans' "unbreakable" enigma codes at Britain's World War II code and cypher school Bletchley Park. It's thought to be the only extensive manuscript that exists from Turing. The notebook includes Turing's personal thoughts on the complex mathematics he dealt with. "The Leibniz notation dx/dy I find extremely difficult to understand in spite of it having been the one I understood the best once!" he wrote at one point. It was among the papers Turing left in his will to friend and fellow mathematician Robin Gandy after he committed suicide in 1954. In 1977, Gandy gifted all of the rest of the papers to the Archive Center at King's College, Cambridge, Turing's alma mater. But the notebook he kept for himself, and found personal use for. On the blank pages, Gandy kept a highly personal dream journal. "It seems a suitable disguise to write in between these notes of Alan's on notation," he wrote in a note added to the front of the manuscript, "but possibly a little sinister; a dead father figure, some of whose thoughts I most completely inherited." Cassandra Hatton, Senior Specialist in Fine Books and Manuscripts and the History of Science at Bonhams, said, "This manuscript dates from the time when Turing was engaged in the crucial task of breaking the Enigma Code. Its mathematical content gives an extraordinary insight into the working mind of one of the greatest luminaries of the 20th century. This is quite simply one of the most extraordinary pieces I have ever had the privilege to handle."